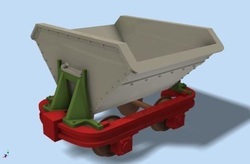 Hudson Skip wagons, parts can be supplied separately IE Chassis for your own flat wagon, or skips for other uses on your layout. 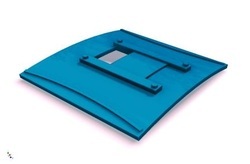 Domes for your needs, specify Diameter of boiler, Height, and Dia of the dome. 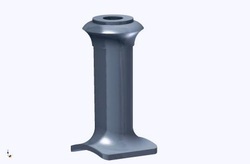 Chimney for your new product, specify diameters, and heights, or send information on your favorite Loco. CAB Sides, specify your needs. 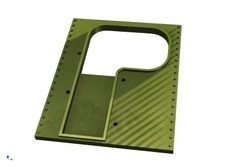 CAB Roof parts, for your favorite Loco, let us know your requirements.